Meetings feature presentations on a variety of topics; discussing and demonstrating products or services. Meetings are held on the second Saturday of the month, from 9:30am to 12 Noon at the newly renovated Main Classroom Building (Room 136) on the Cleveland State University campus. Slide Presentations and Websites mentioned during the meeting are available. All our meetings are free and open to the public. We normally make time for questions and answers, and offer other regular features including a raffle at every meeting. See you there! 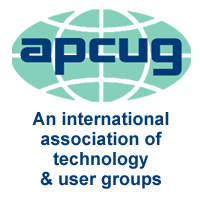 Bring a friend, neighbor or co-worker and introduce them to the GCPCUG.